Kabubo-Mariara, Jane, Richard Mulwa and Salvatore Di Falco. 2017. 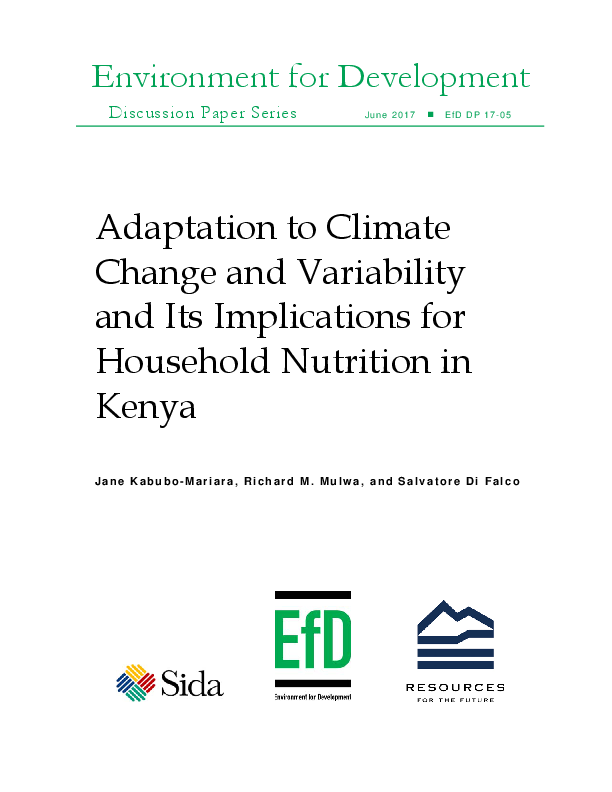 “Adaptation to Climate Change and Variability and Its Implications for Household Nutrition in Kenya.” EfD Discussion Paper Series 17-05.